Wat is dit voor site? Wij zoeken de goedkoopste boeken op internet. Darwin's Devicesvonden we het goedkoopst op Bol.com voor €10.99. We hebben gezocht in nieuwe en tweedehands boeken. Rechtsonderaan de pagina kan je het boek direct bestellen	via Bol	.com. What happens when we let robots play the game of life? The challenge of studying evolution is that the history of life is buried in the past—we can't witness the dramatic events that shaped the adaptations we see today. But biorobotics expert John Long has found an ingenious way to overcome this problem: he creates robots that look and behave like extinct animals, subjects them to evolutionary pressures, lets them compete for mates and resources, and mutates their "genes'. In short, he lets robots play the game of life. 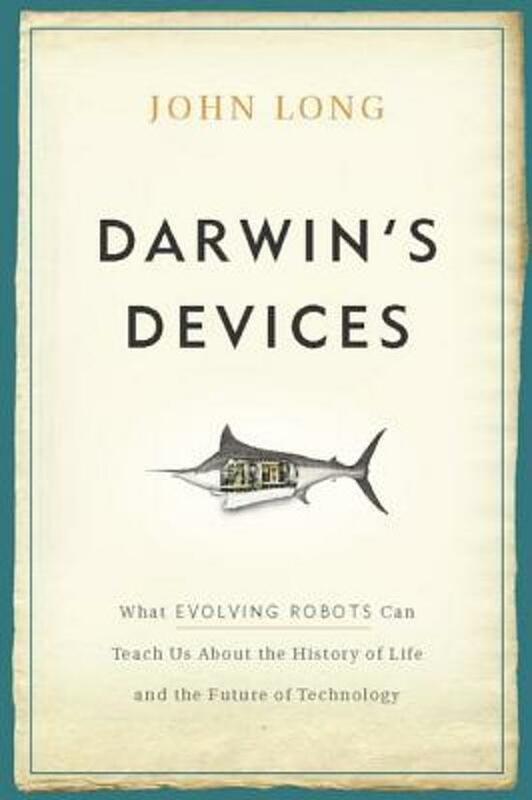 In Darwin's Devices, Long tells the story of these evolving biorobots—how they came to be, and what they can teach us about the biology of living and extinct species. Evolving biorobots can replicate creatures that disappeared from the earth long ago, showing us in real time what happens in the face of unexpected environmental challenges. Biomechanically correct models of backbones functioning as part of an autonomous robot, for example, can help us understand why the first vertebrates evolved them. But the most impressive feature of these robots, as Long shows, is their ability to illustrate the power of evolution to solve difficult technological challenges autonomously—without human input regarding what a workable solution might be. Even a simple robot can create complex behavior, often learning or evolving greater intelligence than humans could possibly program. This remarkable idea could forever alter the face of engineering, design, and even warfare. An amazing tour through the workings of a fertile mind, Darwin's Devices will make you rethink everything you thought you knew about evolution, robot intelligence, and life itself.